Is Fast WiFi the Most Basic of Human Needs? In 1943, psychologist Abraham Maslow published a paper about human motivation that became Maslow’s famous Hierarchy of Needs. His theory states that before self-actualization can be achieved, certain needs must be met, the most basic of which are physiological; food, water, shelter, and physical safety. 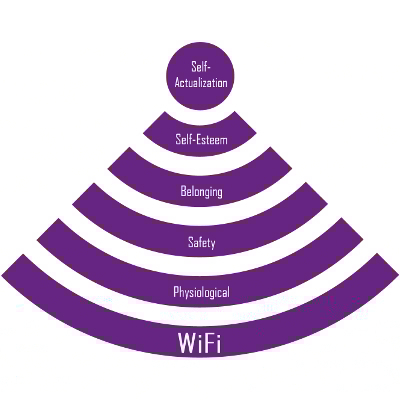 Today, we feel the need to add one more layer to Maslow’s pyramid: WiFi. Fast WiFi. OK, humans probably don’t really need WiFi more than food, but it is a reality that without it, users are useless. Twitchy, even. Who knows what Maslow would say about it, but the reality is that not only do we like WiFi, we need it, the faster the better. For business, faster internet means greater profits. When Google announced that Kansas City would be the testing ground for its new Google Fiber service, offering speeds of 1 Gbit/s, swarms of startup entrepreneurs relocated. The rest of us could only dream about the projects we could have accomplished with that kind of speed, especially via WiFi. The 100 Mbps most of us have is adequate for basic tasks, but for enterprises with more ambitious business application plans and storage needs, you want to take advantage of cloud services. Cloud computing gives your employees fast wireless access to your applications via the cloud, which improves your company’s mobility, productivity, and profitability from what you can do with your current weaker, slower WiFi signal. 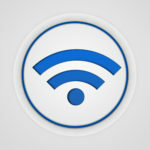 The newest Wi-Fi technology promises WiFi data rates of up to 7 Gbps in the 5 GHz band with IEEE 802.11ac-2013. 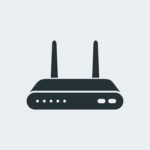 According to IEEE, 802.11ac-2013 “adds channel bandwidths of 80 MHz and 160 MHz with both contiguous and non-contiguous 160 MHz channels for flexible channel assignment,” meaning that broader channels are being used to deliver data faster. Visualizing a Hierarchy of Needs Pyramid for your business, WiFi and your IT infrastructure make up the base. Because your business runs on data, without reliable access to your company’s databases, productivity crashes to a halt. 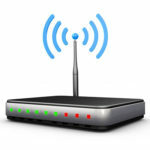 Quikteks can help you better actualize the goals of your business through faster WiFi. Give us a call at (973) 882-4644. 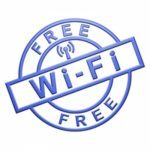 Secure WiFi – How Does it Work?